The Batman who Laughs: This version of Batman is the mix of Joker and Bruce, supposed to rival our Batman. Batman The Red Death: He is the merged version of Barry and Bruce, supposed to be Flash’s rival. Batman The murder Machine: This version of Batman is supposed to rival cyborg, He was consumed by the ‘Alfred Protocol’ in his universe. Batman The Dawnbreaker: He is supposed to be the rival for Hal Jordan. He was chosen by a power ring right after his parents were killed but he chose the dark side and killed the killer of his parents as soon as he gained the power, thus corrupting the ring. Batman The Drowned: The one and only female version of Bruce wayne, ‘Bryce Wayne’ experimented on herself and became like atlantians to seek revenge from them when during a war between them and surface dwellers killed her love interest ‘Sylvester Kyle’. Batman The merciless: Supposed to rival for Wonder Woman, This version of Batman dawned the ‘Helm of Ares’ after he lost almost everything in the war. 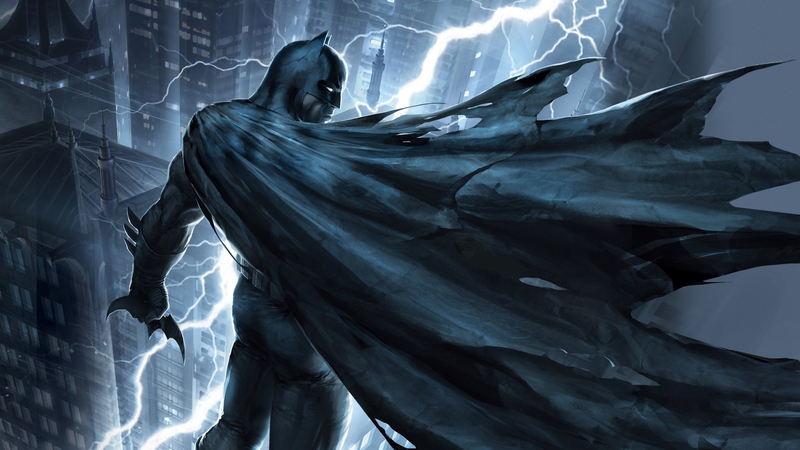 Batman The Devastator: Supposed to be the rival for Superman, this version of batman infected himself with some synthetically made hybrid Doomsday virus. He did this to defeat the superman of his Earth, who for some reason was killing everyone. These Seven Batmen or preferably called as “The Dark Knights” lead by ‘The Batman who Laughs” are working for the Ruler of The Dark Multiverse known as ‘Barbatos’. His motivation is to bring down our multiverse into the Dark Multiverse. For which he is using the cosmic tuning fork which Anti-monitor created during the Crisis of Infinite Earths storyline. Alright, now we won’t bore you further with all the details of the already happened events of the story so far. Let’s discuss what happened in this week’s Justice League #33. The story Picks up with four members of the League in strangles, and are being dragged by ‘The murder machine’ to the Cosmic tuning Fork, which is placed on top of the challenger’s mountain. 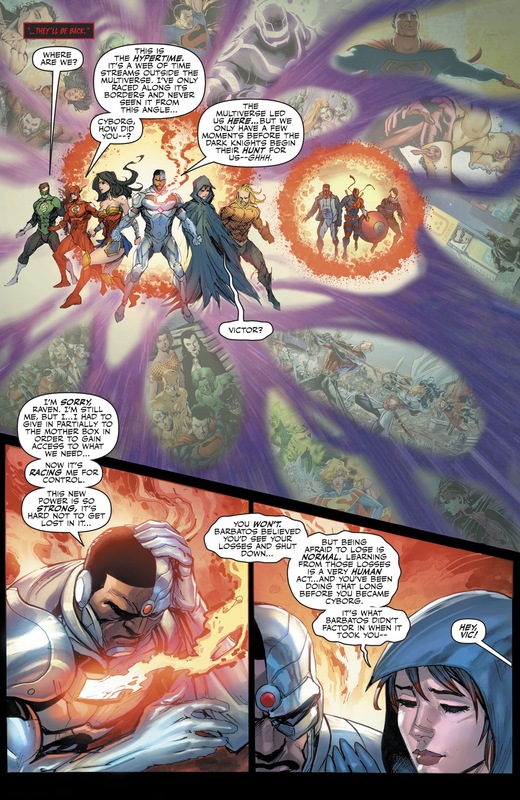 Then right up in the next page we see cyborg narrating us of how he feels about all that’s happening to him and the League. “As he floods my mother box with energy from the dark multiverse he crawled out of. He said he wants to extract something called the Element X from inside of me. When suddenly a mysterious voice says “You are ready victor stone” and we’re suddenly shown that Cyborg is in a blank space with a mother Box right in front of him. We later find out that it is Cyborg’s mother box that is talking to him. 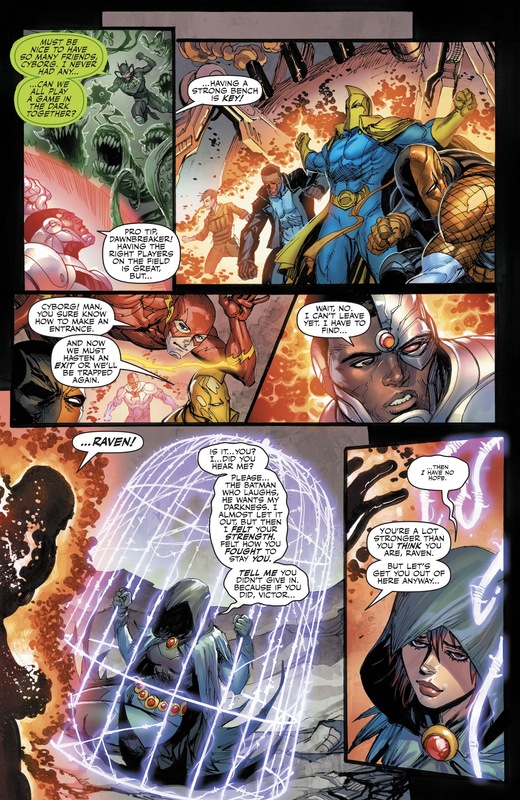 It tries to convince Cyborg to give in and let the mother box take over, which would delete him and his consciousness and the mother box will take over. It then goes on to show him, what would happen if he didn’t give in. it is at this moment Cyborg hears another mysterious voice, he gets it confused with mother box, it tries to convince cyborg to not give in but cyborg doesn’t listen to the mysterious sound and he proceeds as asked by the mother box. Then we are again brought back to the challenger’s mountain where the League is still strangled, we see The Alfred protocol saying “Follow me.This way sir”. After a couple of times it suddenly starts malfunctioning. To this ‘The batman who Laughs’ asks Murder Machine to what’s happening. Murder machine Responds with “Something is interfering with my connection”, The laughing batman gets pissed and asks what do you mean “your connection”? then we hear an unknown voice say “He means you finally made a mistake, All of you did”. We’re immediately taken to next page where we see a fully regenerated, and even more powerful Cyborg Boomtubes himself in. That is just freaking insane to even think about! We all knew Cyborg was powerful and ever upgrading but this just took it to whole another level. 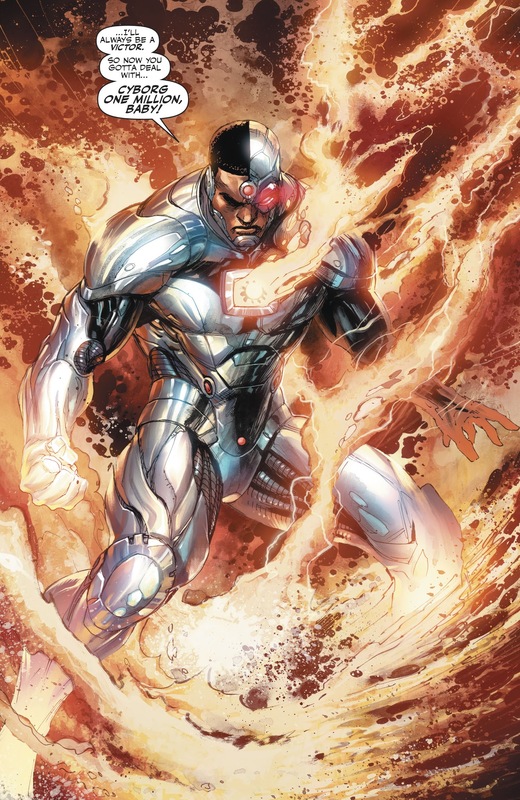 Cyborg then frees the League and they go in an all-out war against the dark knights. But right when you would think they’re out numbered, we see Dr. Fate teleport Black Hawk, Mister Terrific, Deathstroke and Raven to help the league. It is at this point that we find out that the second mysterious voice was non other than Raven herself. We are also greeted with one the most emotional scenes in all of Rebirth. Further ahead we see Cyborg explain about his multiverse upgrade and how the dark knights were created to the Justice League. Right at that moment Barbatos pops up and cyborg immediately boomtubes everyone out. In the next pages we see the Heroes in Hypertime, a place where all time streams meet. We also find out that the mother box is still trying to take over cyborg and cyborg is resisting it. 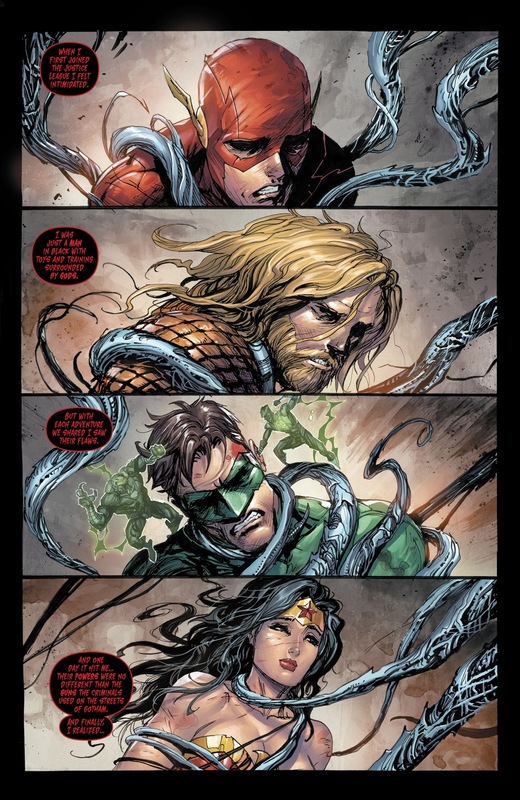 The issue ends with The League members departing different direction. 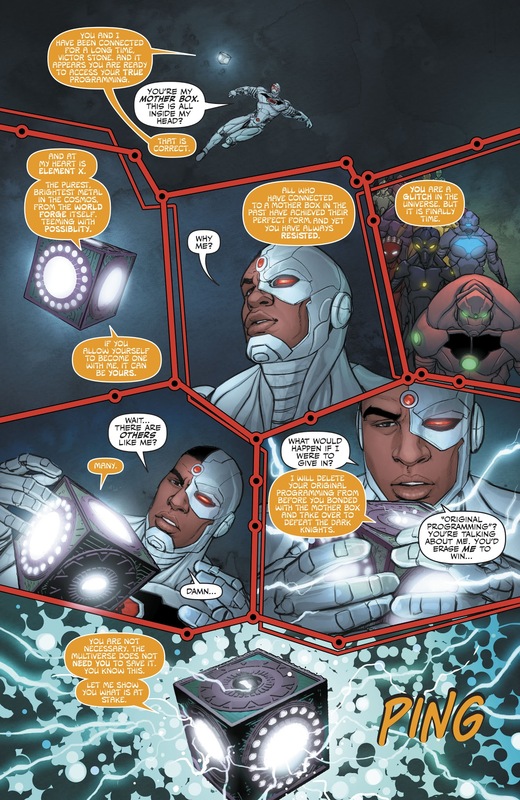 But we now Know that Cyborg’s computing power is human’s comprehension and a mix of magic too. 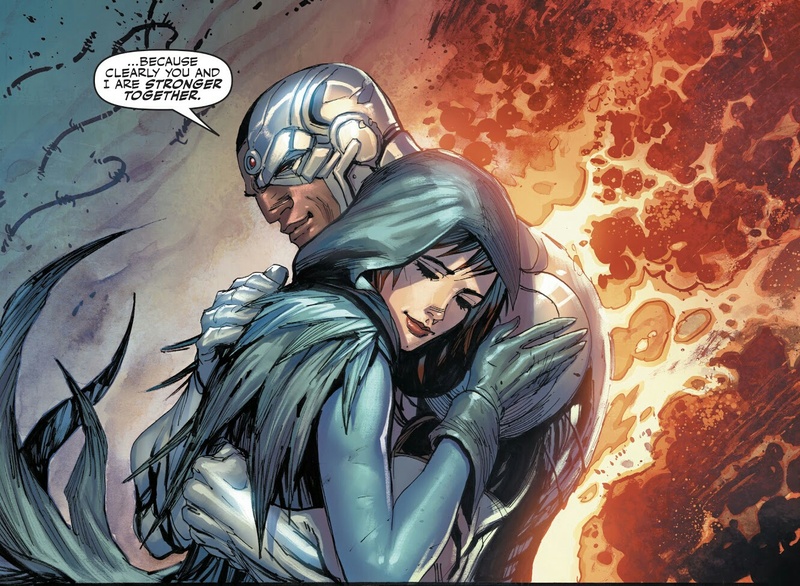 This is actually a really great story for the cyborg’s character because as powerful and as important he is for the League, he simply doesn’t get enough attention by the writers as well as the readers. 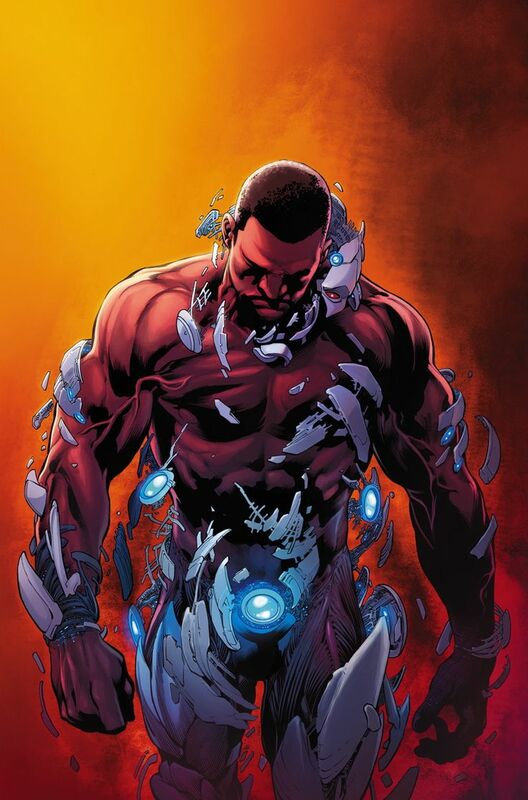 People often undermine him or underestimate his potential even though he is an extremely powerful character and with this issue moving forward he might as well be the strongest tech-based character in comics. Don’t Miss: Wonder Woman vs Steppenwolf: Who Would Win and Why?